Ruby Walsh made a statement of intent by winning the Stan James Supreme Novices’ Hurdle on Al Ferof for Paul Nicholls and, by the end of the opening day, was well on the way to yet another leading jockey title, courtesy of Hurricane Fly in the Stan James Champion Hurdle and Quevega in the David Nicholson Mares’ Hurdle. Further victories on Big Buck’s in the Ladbrokes World Hurdle and Final Approach in the Vincent O’Brien County Hurdle gave Nicholls’ stable jockey a total of five winners for the week, but it was Willie Mullins, with four winners – Hurricane Fly, Quevega, Final Approach and Sir Des Champs, in the Martin Pipe Conditional Jockeys’ Handicap Hurdle – who lifted his maiden trainers’ title. 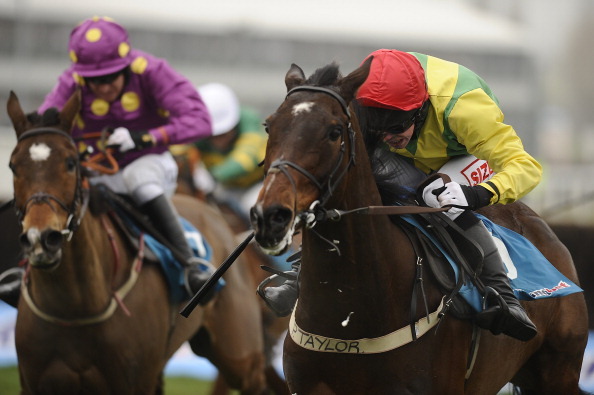 Other notable winners included Sizing Europe in the Queen Mother Champion Chase, Cheltenian in the Weatherbys Champion Bumper and Long Run in the Totesport Cheltenham Gold Cup. The latter performance was particularly special, not only because the 6-year-old beat Denham and Kauto Star by 7 lengths and 4 lengths but, in so doing, also became the first horse since Little Owl, in 1981, to win the race under an amateur jockey.